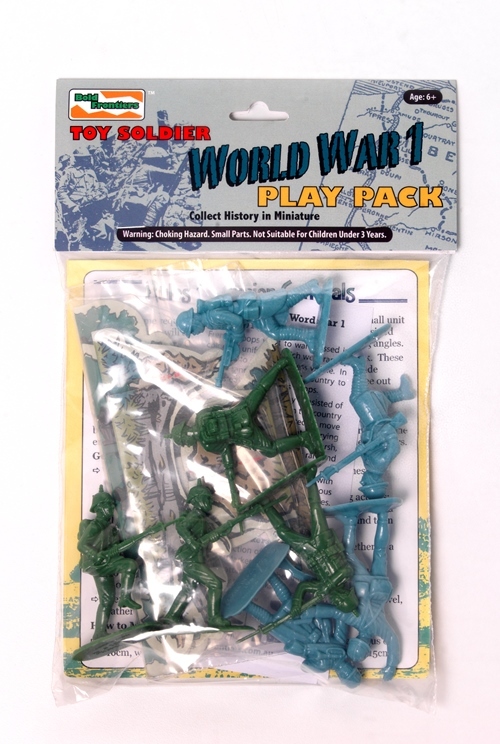 The First World War play pack features armies from France, Germany, United Kingdom, and Russia. Children can expand their collection of figures by referring to set details on the fact cards.. In some instances, figures relating to one nation are used to represent another, as their uniforms and equipment may be similar or even identical.